Nota: Eunice Spry (nata il 28 aprile 1944), è una donna inglese di Tewkesbury in Gloucestershire, testimone di Geova, condannata a 14 anni di prigione e al pagamento di £ 80.000 di spese per 26 capi d’imputazione concernenti abusi sui figli adottivi. Nella sentenza di condanna, il giudice Simon Darwell-Smith, ha riferito che quello era il ‘caso peggiore visto nei suoi 40 anni di attività’. La donna, tuttavia, è stata rilasciata l’estate scorsa dopo aver scontato la metà della pena prevista. Un nuovo documentario ripercorre l’inferno attraversato dalle sue vittime, all’epoca minorenni. They were made to sleep in a barn, endured vicious beatings and forced to eat cat food and vomit as children. Victoria Evans, Christopher Spry and Alloma Gilbert suffered 19 years of abuse during a campaign of terror at the hands of the woman they called their adoptive mother, Eunice Spry. Despite their horrific ordeal, all three have had the courage to speak out in the latest episode of Britain’s Darkest Taboos series entitled ‘Britain’s most sadistic mother’, which will be screened just months after Spry’s release from prison. 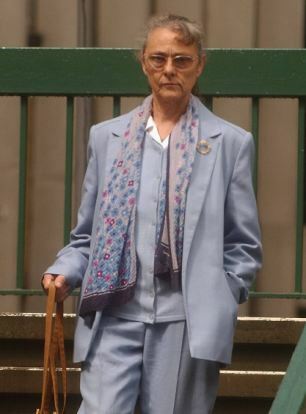 Victoria, now 28, was only two when Spry began her beatings at their farm house near Tewkesbury, Gloucestershire. She was caught pulling labels off some tinned food when Spry lost her temper and forced her to eat the contents of the can as punishment – it was cat food. ‘She thought I was demonised or that I was working in Satan’s name and that we were the devil’s offspring,’ he revealed. The children would be made to stand against the wall for hours on end and had to sleep in a barn using a hosepipe to clean themselves, while Spry’s biological children Judith and Charlotte slept in their own bedrooms in the house and were well cared for. Spry meted out vicious beatings whenever she saw fit even shoving sticks down their throats. But Christopher endured the worst beating at the tender age of 10 when Spry tied his feet to her van and sped off across a recently ploughed field. ‘I blacked out multiple times,’ he explained. ‘I was bleeding all over, I kept waking up and I was still being dragged. ‘Then, she just took the rope off the van at the end, and I couldn’t move. I can’t remember the next few days. ‘I probably should have died, and I’ll tell you what, being dragged around that field, I wish I had. Spry frightened the children into not telling the teachers anything if they asked about bruises or marks, but Rebecca eventually managed to tell her friends what was happening and went to the police. All three siblings testified against Spry, and in April 2007, the evil woman was jailed for 14 years with Judge Simon Darwell-Smith labelling the foster mother’s reign of terror one of the ‘worst I’ve seen in 40 years’. But she was released last summer after serving just seven years. ‘Why do criminals have more rights than their victims? She has served her punishment but mine will never leave me,’ said Rebecca.